• A new undercover investigation by People for the Ethical Treatment of Animals sheds light on an industry that is often overlooked when discussing ethics in fashion. Angora is the hair of rabbits. Most people believe that angora is simply a haircut. But in China, the world's largest producer, exporter and consumer of fur, business-as-usual in all 9 of the farms investigated by PETA, is shocking abuse. 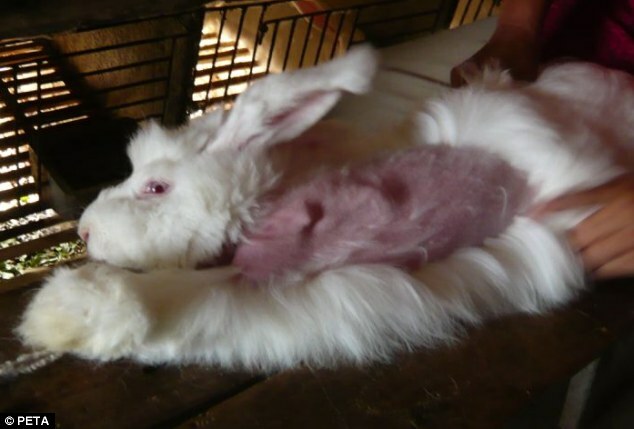 While some designers claim they use "humane" methods of "harvesting" angora hair, this is the price paid for creating demand for angora on a global level, and perpetuating the naive idea that, in our modern world, animals are still acceptable sources of textiles.